XBOX ONE. THE DIVISION 2. 100% EM PORTUGUÊS. REQUER INTERNET. PS4. LEGO MOVIE 2 VIDEOGAME. 100% EM PORTUGUÊS. NOVO. PS4. 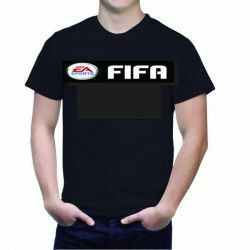 FIFA 19. 100% EM PORTUGUÊS. NOVO. PS4. DRAGON QUEST XI ECHOES OF AN ELUSIVE AGE. EDIÇÃO DA LUZ. NOVO. XBOX ONE. FORTNITE E PACOTE CONGELAMENTO PROFUNDO. EM PORTUGUÊS. NOVO. XBOX ONE. THE WITCHER III 3 COMPLETE EDITION + 16 DCLs. 100% PORTUGUÊS. NOVO. PS4. NIER AUTOMATA. GAME OF THE YEAR. NOVO. XBOX 360. LEGO MARVEL SUPER HEROES. EM PORTUGUÊS. NOVO. PS4. DEVIL MAY CRY 5. EM PORTUGUÊS.NOVO. PS4. CONTROLE DUALSHOCK 4. VERMELHO. ORIGINAL SONY. NA CAIXA. PARA PS4. PS4. ACE COMBAT 7. SKIES UNKNOWN. EM PORTUGUÊS. NOVO. XBOX 360. PLANTS VS ZOMBIES. EM PORTUGUÊS. REQUER INTERNET* NOVO. PS4. SEKIRO. SHADOWS DIE TWICE. EM PORTUGUÊS + STEELBOOK (BOX DE METAL). NOVO. PS4. THE DIVISION + DLC. TOM CLANCYS. SOMENTE ONLINE. 100% EM PORTUGUÊS. NOVO. SWITCH. SEGA GENESIS CLASSICS. NOVO. PS4. MAD MAX. EM PORTUGUÊS. NOVO. PS4. RESIDENT EVIL 7. EM PORTUGUÊS. NOVO. XBOX 360. GTA 5. GRAND THEFT AUTO FIVE. V . LEGENDADO EM PORTUGUÊS. NOVO. PS4. WATCH DOGS 2. II. 100% EM PORTUGUÊS. NOVO. XBOX ONE. SEKIRO. SHADOWS DIE TWICE. EM PORTUGUÊS. NOVO . PS4. INJUSTICE 2. 100% EM PORTUGUÊS. NOVO. PS4. SOMBRAS DA GUERRA. .100% EM PORTUGUÊS. SHADOW WAR. NOVO. XBOX ONE. ONE PIECE WORLD SEEKER. EM PORTUGUÊS. PS4. SNIPER ELITE 4. 100 % EM PORTUGUÊS. NOVO. PS4. LEGO JURASSIC WORLD. 100% EM PORTUGUÊS. NOVO. SWITCH. MARIO ODYSSEY COM ARTBOOK. NOVO. XBOX ONE. KINGDOM HEARTS 3. NOVO. PS4. METAL GEAR SOLID V. 5. PHANTOM PAIN. EM PORTUGUÊS + GROUND ZEROES. NOVO. PS4. THE WITCHER 3 WILD HUNT. 100% EM PORTUGUÊS. NOVO. XBOX 360. GTA SAN ANDREAS. GRAND THEFT AUTO. NOVO.